If there is one single thing that has stood out in my journey towards adding height, it is that the quality of what you wear on your feet makes all the difference and ensures that no-one realizes you are doing it. My own history is one of caution and inching my way forward (and upward) only when I was totally confident of adding more height with really no chance of detection. Now, detection can come from many things – not least the temptation to actually tell someone! But if you tell no-one, then you want to be able to do it in a way that completely preserves your secret. At its lowest levels – adding less than about 3” or 8cm – you should never ever have any difficulties. But my main point in this piece is about quality and detection, and my own history. I am in my late 30s and slightly unusually for that time, I started adding height in my late teens. So I have had the best part of 2 decades making myself taller – starting with an inch or two of socks and homemade lifts in my boots and trainers (not that comfortable, but it did the trick! ), moving on to bigger lifts and more sophisticated ways of adding the max height in non-elevator shoes. And then finally – and not that long ago – taking the plunge and going for elevators. Why did I wait for almost 15 years before going for what I now know to be way the best option when adding height – high quality elevators? It was because of the history of elevators and how truly awful the older ones were. When I began adding height I had kinda heard of elevators. The late 90s was the very early days of mass internet and the amount of stuff you could research was a fraction of what it is today. Today you can put in searches for ‘6 inch elevators’, ‘elevator boots’, etc etc and loads of stuff comes up, pictures, companies etc. Back then it was basically almost zero and what DID emerge was truly heroically terrible stuff. Old fashioned, clumpy things that stopped at about size 8 or 9. And clearly bad quality. And as a young guy with a sense of fashion I looked at the 1950s style stuff and ruled them out – working in clubs you are to some degree fashion conscious in your own style whether you kinda like it or not! The biggest clincher though was that these confections were obviously very very poor quality to go with their dated look. And costly for poor quality. So I stuck with fashion wear and made do with added lifts. I wisely never did try them, because stuff like that would look very strange on a late teen/early 20s club worker dressed in the current styles. In fact, looking at them I realised they would look crap on anyone. As chance had it, I had a bit of experience of seeing this. Doormen or bouncers in clubs like to be seen as HUGE: basically the bigger the better. If you know them like I do, you know that if sit with them and talk and say “Cards on the table, what is the ideal height etc?” they would honestly think that 6’7 or 2m tall is “not really tall enough” to be ideal, and that only if you got to a 60” chest would you get to where you should be! Listen, it goes with the territory – their job is to be big and intimidating and among themselves, these things are major – their guide is the superhero massive tall and monster-muscle bursting from the suit wide look. Now I had actually known bouncers who had bought these old fashioned elevator boots, to wear with their black pants and jackets. Because of the colour and cut of their clothes, they (just about) got away with these boots. One doorman I knew who was already way over 6’4” had THE most enormous elevators. But I knew that these boots were all wrong for most people. So at the time I stuck to real quality footwear bought in bigger sizes to add loads of lifts. I was fortunate in that at a key period flares returned in Europe for over half a decade and I then got into the habit of wearing huge ones, boots unzipped and 3” of elevators undetectable under them. And then the fashion started to fade a decade ago. As they all do. At this point I did not want to go back to adding just an inch or two in boots under skinny jeans. And so I started looking again for elevators. Over a decade on from my late teens and the choice online was beyond all comparison. The best thing, though, was discovering firms like GuidoMaggi and the sheer quality of what they offer. I had had a decade before venturing into my first pair of elevators of realizing that ‘quality’ was the key when adding height, whatever you wear. And ‘quality’ means two things. Yes, of course it refers to the quality of manufacture and making of the shoes, the overall look and the feel that you are wearing something that simply really looks the job and people know is not cheap. But it also and importantly means something else. That the footwear must totally fit YOUR style, not the other way round. The idea of buying some horrendous pair of boots that do not fit the style of your clothes just because it says they are 5” elevators – well that is also against the rules of quality. I have mentioned this before, but those truly awful photos of action stars wearing obvious elevators at red carpet occasions are a lesson to us all. But the main lesson is that with all the cash available for their image, they clearly are not taking the right advice or buying quality. I look at the feet of people like Robert Downey Jr and Vin Diesel and I think “OMG I could tell you in a second what to wear and how, and people would never have known”. In fairness to them, it is almost always action stars who seem to go for the obvious, so it may just be that professionally (like doormen) they need to add all this height in a hurry and so go for stuff that does not go well with the tuxedo or dinner jacket. My own journey was not driven by that need. It was honestly more like the journey that most of you will experience, updated for the current times when there is more stuff available of great quality and fashion is probably at its most varied in several decades. 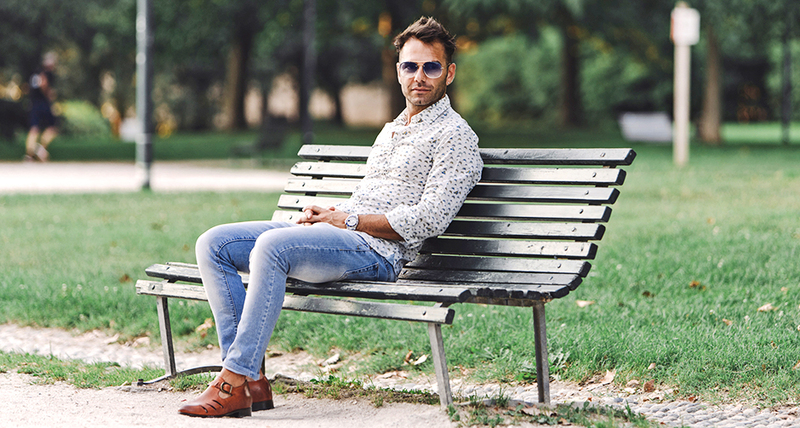 So above all, make sure that what you buy suits what you are wearing – if you are buying a certain type of jeans, look online and see the type of boots or shoes being worn with them and there WILL be something that fits the bill today. Not like 20 years ago. Same with a suit. I was forced to make that journey gradually and had to make mistakes along the way (mostly ones of comfort and fit, I always always was careful not to look odd). You may not need to be as careful as I was but an element of gradualness is good. Unless you are skilled at adding height already, go for about 3” to start. In a style that really totally suits what you are wearing. And the quality of the manufacture and look of the shoes or boots is all that people might comment on.